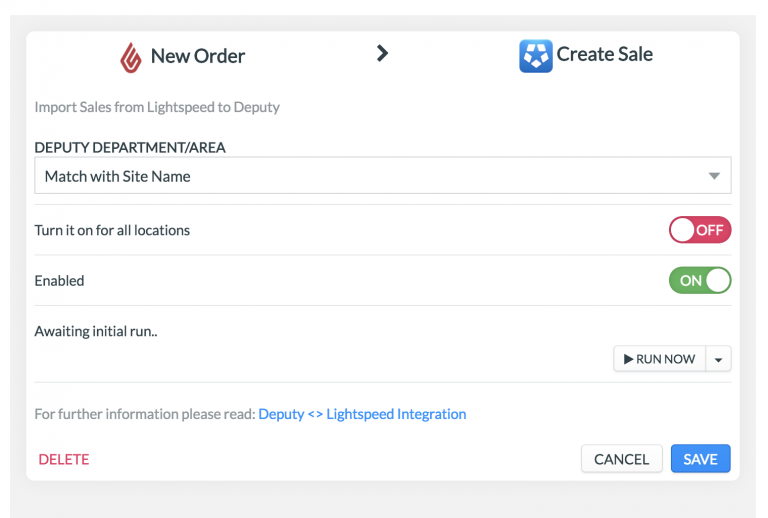 Connecting Lightspeed with Deputy allows you to sync employees and sales data between the two systems. 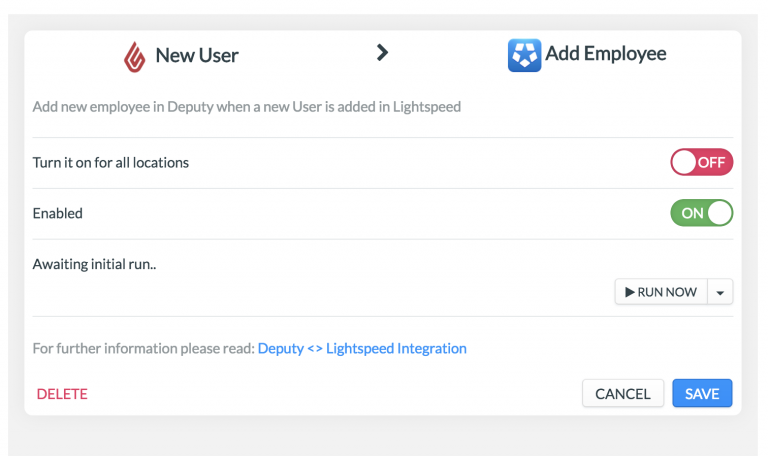 This guide will show you the process of connecting your Lightspeed account to Deputy. Please note: Integrating with Lightspeed requires you to retrieve an API login token. To retrieve this, contact Deputy support at integrations@deputy.com. Please include the Lightspeed server being used (e.g. https://nae1-web.posios.com), the Lightspeed Resto business name and the Resto backend username. Please ensure you have a valid Lightspeed account. Learn more about Lightspeed POS here. Log into your Deputy account and navigate to the Locations page. Click 'Edit Settings' on the location you would like to connect. 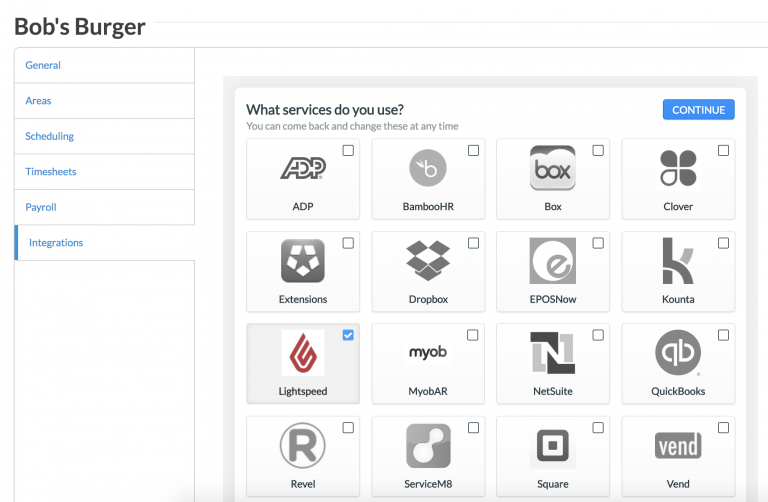 Click on the 'Integrations' tab and select 'Lightspeed'. When this is marked, click Continue. Click 'Activate' to begin the log in process. A pop-up will appear, requesting an API login token. 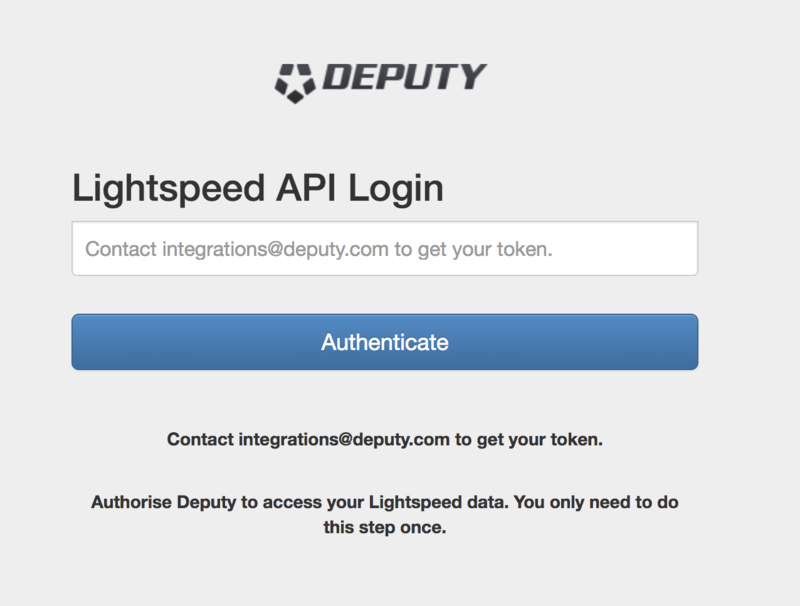 After receiving the Lightspeed login token from Deputy support, enter it in the box and click 'Authenticate'. The following shows the data that can be synced between Lightspeed and Deputy. 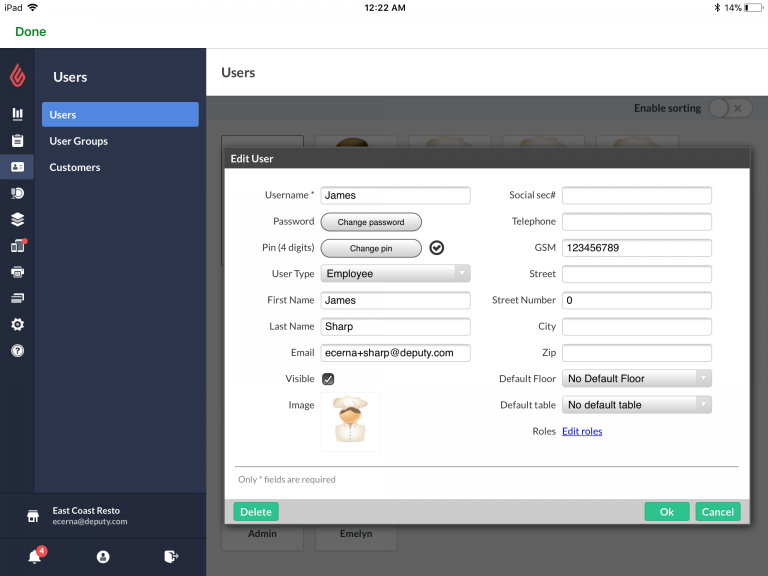 When you create a new employee in Lightspeed, it will create the employee within Deputy as well. This integration will sync first name, last name, email address and phone number. 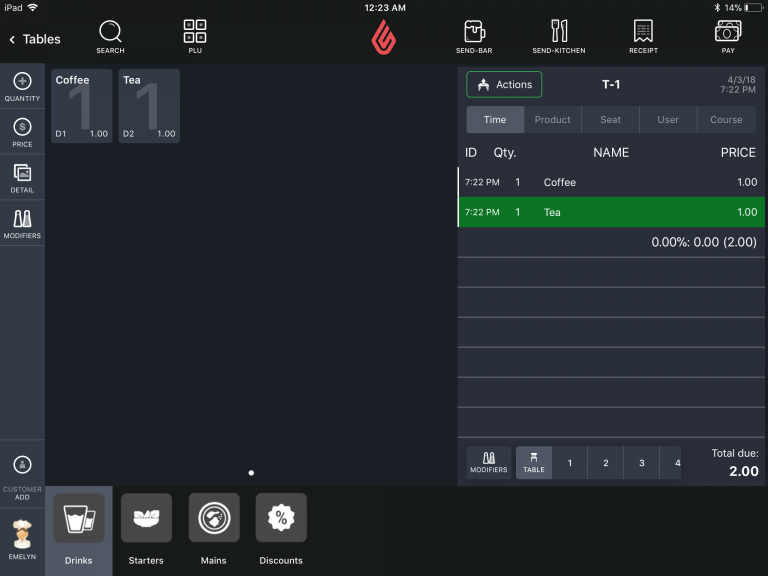 This integration will pull sales data made in the Lightspeed POS iPad app into your Deputy account. This will allow you to schedule employees in line with actual sales data.